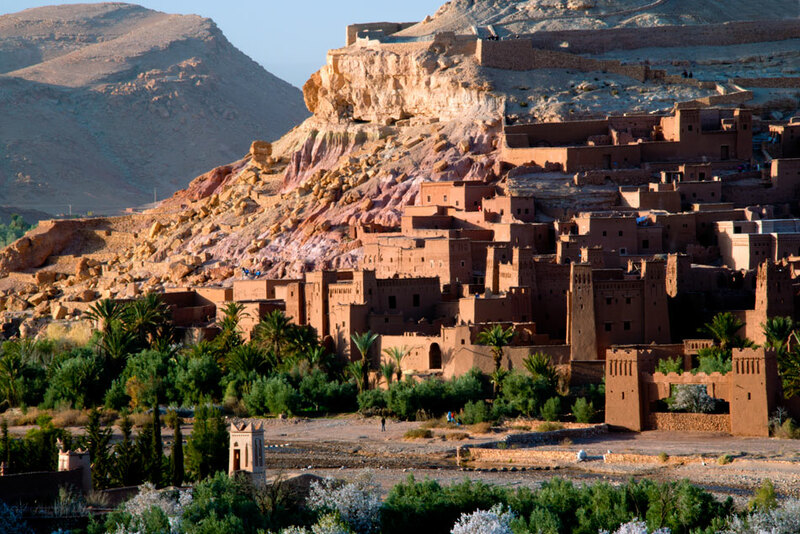 Experience our High Atlas and Desert 4 day Tour and see the key sights of the south including Ait Benhaddou, the southern Kasbahs, Dades Valley and Sahara dunes. The tour includes a camel trek and overnight camp stay. Great for High Atlas views, good food, pools and camel trekking! Leaving Essaouira you could visit a market nearby available on Wednesdays and Sundays. After a drive of 2 hours detouring south of Marrakesh close to the Atlas mountains ( very scenic you’d arrive at Imlil, south of Marrakesh, in the High Atlas for lunch. From Marrakesh it’s a one hour journey to Imil but instead includes a visit to the 7 waterfalls at Ourika. Afterwards you’ll head onwards across the Tizi-n-Tichka Atlas pass, with far-reaching views across the mountains, arriving at the UNESCO World Heritage Site of Ait Benhaddou, a spectacular fortified village (Ksour) arriving in the late afternoon in time to explore the village. See where Gladiator was filmed. hotel: cafe bagdad. Your hotel is : Cafe Bagdad. 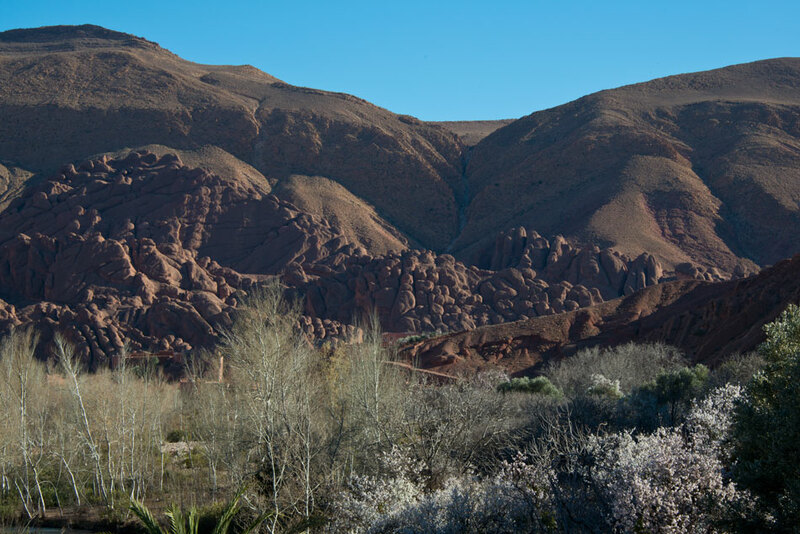 The early morning gives you another chance to see the surroundings of Ait Benhaddou before continuing on to Dades valley where you would explore the valley underneath the rock formation known as Monkey toes (light walking). (2hrs drive from Ait Benhaddou). From Dades valley the tour would continue on to Todra Gorge followed by lunch at Ksar Elkhorbat, exploring the tunnels there. (1.5hrs drive). Afterwards it’s a 2 hour drive to Merzouga, with Berber villages scattered along the way, stopping at Rissani market for an optional spice introduction. 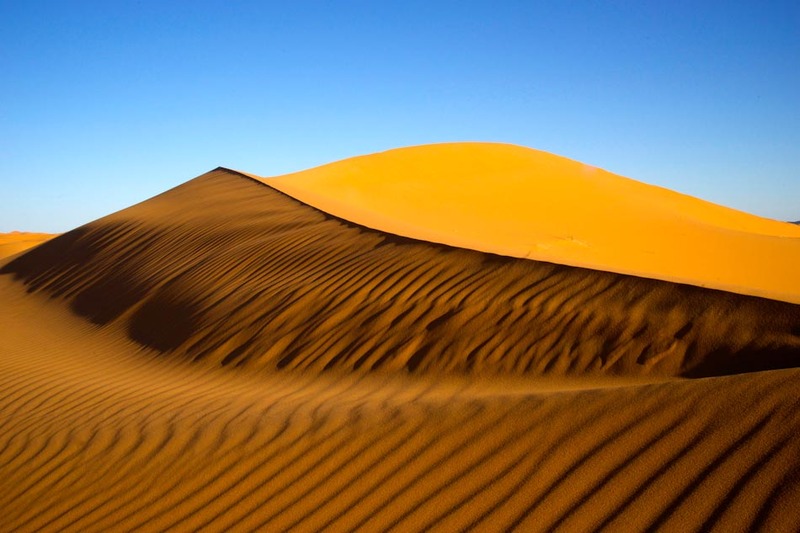 Then it’s the Sahara dunes and in the late afternoon, your camel trek (which is optional – you can stay in hotel but the best way to see the dunes is by camel ) and overnight desert camp with our brilliant guide. Arriving back at the hotel in Merzouga at around 9.00am you’ll take a shower and breakfast before heading off the Skoura(4.5 hours). Your High Atlas and Desert 4 day Tour is far from complete. By the late afternoon you could be quad biking, cycling or strolling in Skoura’s UNESCO designated Palamarie. 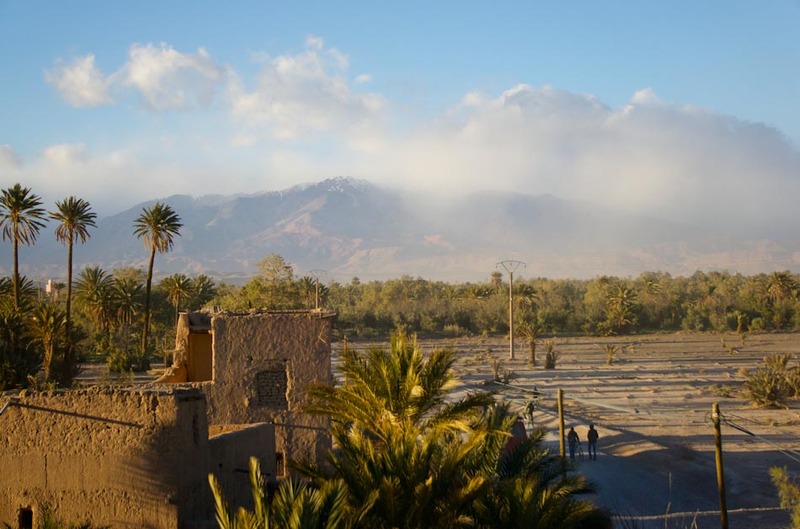 Crumbling Kasbahs, views of the Atlas mountains and a late afternoon setting sun make it a memorable experience. You can enjoy a glass or two of wine from the terrace of your hotel: – Chez Laila. Leaving Skoura in the morning you’ll head back to Marrakesh or Essaouira passing along the main trading route to the traditional High Atlas Berber village of Telouet where you can take a guided tour of the Kasbah of el Glaoui, the former War Lord and Pasha of Marrakech. Then it’s back through the main Atlas pass and on to Marrakesh or Essaouira. (4.5 – 6.5hrs). The total cost for the 4 day tour is £800/€1100 based on two people travelling in a private 4×4 vehicle and includes evening meals and your desert camp safari. Call us or email to find how we can assist with booking your High Atlas and Desert 4 day Tour.